Push in jewelry goes by many names, whether you call it snap together, push pop, or push fit threadless jewelry, there’s no arguing the fact that this highly popular body jewelry type proffers a slew of advantages over your typical threadless or threaded jewelry. Instead of screwing in or using a locking mechanism to attain a secure fit, push in jewelry simply ‘snap together’ when you push the pin segment of the jewelry into the shaft. The convenience and ease of usage brought on by this mechanism is second to no other jewelry style configuration. 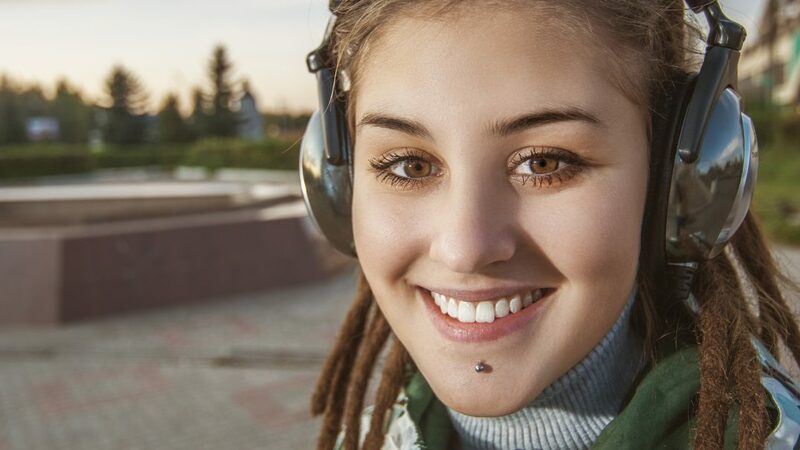 Add that to the fact that they are compatible with virtually every piercing type, and it’s easy to see why you should consider adding them to your jewelry collection. What makes up a Push Pin jewelry piece? 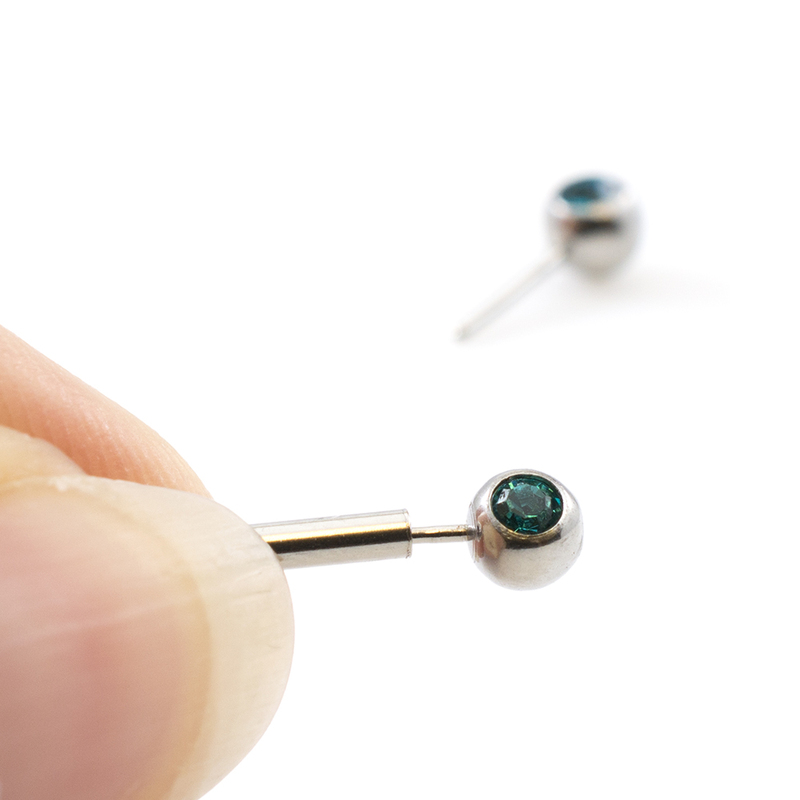 The typical push in jewelry consists of two individual parts; a removable piece or pin that fits into a shaft or post. High-quality push pin jewelry are usually fashioned from implant grade titanium, and although variations of this base configuration exist, it is essential to always opt for inert materials, the kind that is less likely to irritate your piercing. Most push in jewelry will also come with a decorative piece that’s either glued in or press-fitted. Press-fit push in jewelry are the better option. They are stronger and less likely to fall out of place. Glued-in push pin threadless jewelry are however cheaper, so there’s that to consider if budget is an issue. You’re probably wondering how the pin end of a push in threadless jewelry remains securely latched to its shaft. Well, it’s not rocket science, just a bit of physics. The two pieces are held in place by tension force, and this tension is generated by a slight bend on the pin – the more the bend, the higher the pressure and the better the fit. So, if you do buy a push in threadless jewelry and it doesn’t fit snuggly on the first attempt, you can adjust the bend a bit to improve the fit. The first step would be to insert the pin end of the threadless jewelry into the shaft, but only halfway or about a third through though. Once it’s in halfway, proceed to bend the tip of the pin end ever so lightly. Next, push the now bent pin into the shaft. As it enters, it should straighten out, in the process creating a locked tension that works to hold both parts of the push in threadless jewelry together. To remove, simply pull out the pin with slight force or in the case where it’s tightly locked by using an unwinding motion in addition to pulling. From curved barbells to straight barbells, to ball back posts, and flat back posts there’s a growing selection of push in threadless jewelry to select from for all your piercing needs. And because this class of body jewelry go well with a broad range of piercing styles, so well that you’re practically spoiled for choice. What are you waiting for? Join the push pin threadless jewelry gang and inject a new dose of style and sophistication to your body piercings.